NEW YORK—Threatening to strike next season unless their conditions were immediately met, the MLB mascots union issued a statement Monday demanding more bald fans to playfully tease between innings. 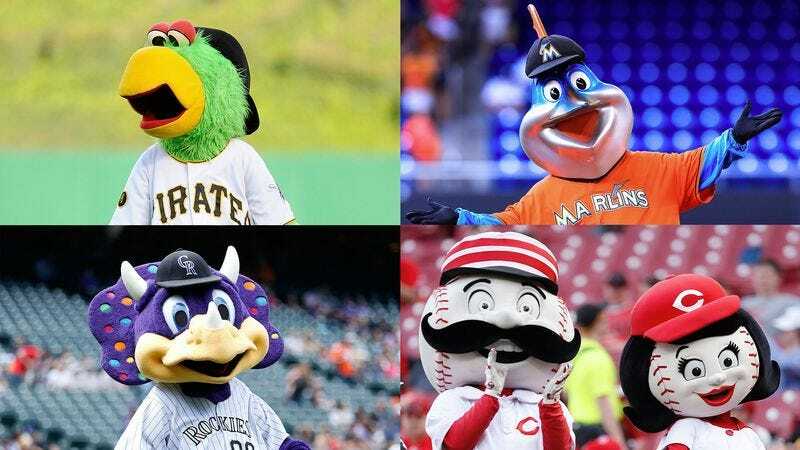 “We ask Commissioner Rob Manfred and the MLB organization to guarantee that going forward, our stadiums feature at least double the number of bald fans whom we can rib in a light-hearted fashion during game breaks by polishing their heads as though they were bowling balls,” read a statement signed by all 35 members of the Major League Baseball Mascots Association, which went on to stress that their terms are “non-negotiable.” “If the league fails to provide a significant increase of middle-aged, preferably chubby men whose bald heads we can pretend to use as a mirror with which to admire our reflections, we will have no choice but to refuse to sign a new collective bargaining agreement. Furthermore, until our demands are met, all members of our organization will cease pulling up fans to dance with on top of the dugout, stealing the hats of umpires, or leaning in for a kiss on the cheek from a woman in the stands. We warn you: Do not test our resolve in this matter.” At press time, Chicago police had reportedly been called after a physical altercation had broken out between Wrigley Field security and a group of protesters led by Mr. Met, Billy the Marlin, and the Milwaukee Brewers’ Racing Sausages.